The World Trade Center Museum has been hijacked. Not physically. Financially. The City of New York, along with the Port Authority have both resisted the efforts of many American’s; including the families of the victims; to have the Museum taken over by the National Park Service. You have to wonder why since they have been complaining about the cost of operating it since before it even opened. Last week the WTC Museum Commission asked for the okay to charge $24 for admission to the hallowed grounds where terrorists struck in 2001. So, I began to look into who the people were on the Commission itself. It’s a long list, many of whom are nothing more than political donors. I called and asked to speak with someone about the museum and the admission price. I was transferred to a Mr. Quido. I am not making that up. I am also still waiting on that return call. I happened to voice my concerns to a friend of mine in New York and the very next day he ran across the following Letter to the Editor in a paper called “The Chief”, a paper which caters to Civil Service Employees in NYC. The letter speaks volumes, and summarizes my concerns so well that I am posting it here. Decide for yourself what you think is right. Personally, I think that when you realize the game of extortion being played out by the Commission you will agree that the Museum needs to be taken over by the National Park Service, just like the USS Arizona in Hawaii. In the latest example of money-grubbing by the excessively high-salaried management of the 9/11 Memorial and Museum, it now appears they are demanding a handout from NY City and State for millions of dollars to satisfy their bloated salaries and fiscal mismanagement. 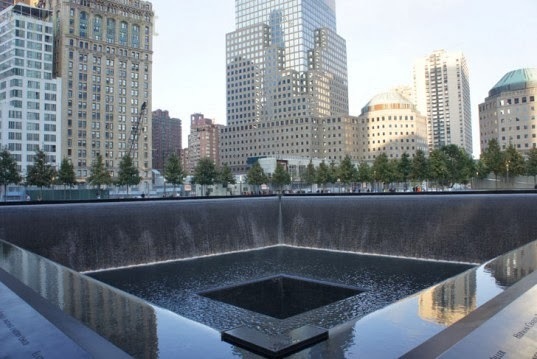 According to the Wall Street Journal ("9/11 Memorial to Seek Funds From New York's Mayor," 1/15/14), the memorial and museum foundation (which is chaired by Michael Bloomberg) is asking Mayor de Blasio and the city to pay for nearly a third of its bloated budget. We agree with Mayor de Blasio's spokesperson, Marti Adams, that the Federal Government must play a "central role" in funding. However, instead of a handout, we insist that the well-respected National Park Service take over the complete control of the 9/11 memorial and museum and bring the professionalism and fiscal constraints that this out-of-control situation at Ground Zero so desperately needs. In addition, it appears legislation is yet again being prepared for introduction in the U.S. Senate to provide Federal funding for the memorial and museum. This comes on the heels of a failed attempt in 2011 by the memorial foundation to "allow" for the Department of the Interior (National Park Service) to accept a "gift" of the property of the 9/11 Memorial and Museum in return for a $20 million annual stipend. Many 9/11 families continue to oppose a bailout plan- they do not feel the Federal Government should pay for an enormously-expensive memorial and museum in which the Federal Government- as well as the families of the victims- had virtually no role in the nearly one billion dollar design and planning. We therefore petition Senators Charles Schumer and Kristen Gillibrand, Mayor de Blasio and Governor Cuomo, to support fiscal responsibility and patriotism, and advocate for a bill in which the National Park Service can assume complete control and operation of the 9/11 Memorial and Museum at Ground Zero. This is the least that the victims of 9/11, their grieving families, and the American public deserve.